Shane Shirley : Wordless Wednesday 11-28-12: Join the Plastic Bag Ban Movement and Win $100 for Yourself and $100 for Your Favorite Charity This Holiday! 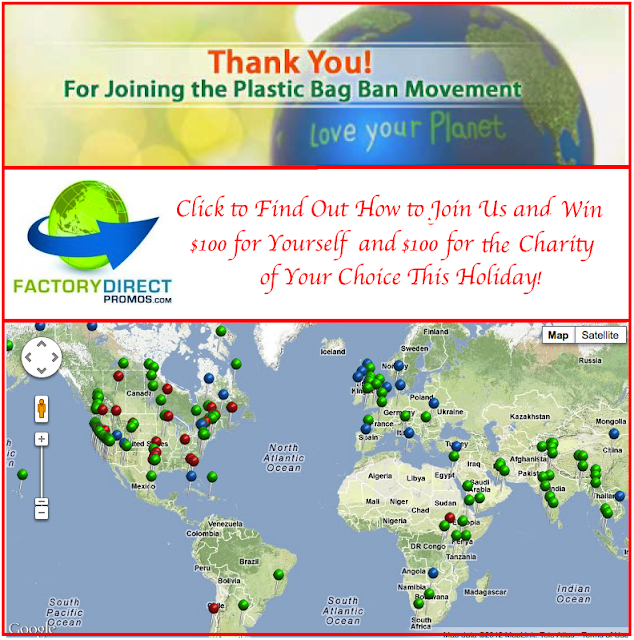 Wordless Wednesday 11-28-12: Join the Plastic Bag Ban Movement and Win $100 for Yourself and $100 for Your Favorite Charity This Holiday! Plastic Bags are the roots of pollution, these plastic bags must be banned. It is a very good post forwarding the message of controlling pollution. This step must be encouraged and taken by all if we want to protect our world.